I have something so exciting to show you all today! I designed an outfit for Makie dolls and it's now being sold on their site. If you haven't heard of Makies, they are 3D printed dolls that you can design online to look precisely like you (or however you please) right down to the eyebrow shape, cheekbones and nose size. Here is a video which is on their site to show you a little about them. The lovely Jen contacted me a little while ago, asking if I wanted to join a project their doing where style bloggers design outfits for the dolls. I thought it was such a great idea and immediately said yes. Something you may not know is that I actually got into blogs and the internet by watching doll related youtube channels when I was 9. 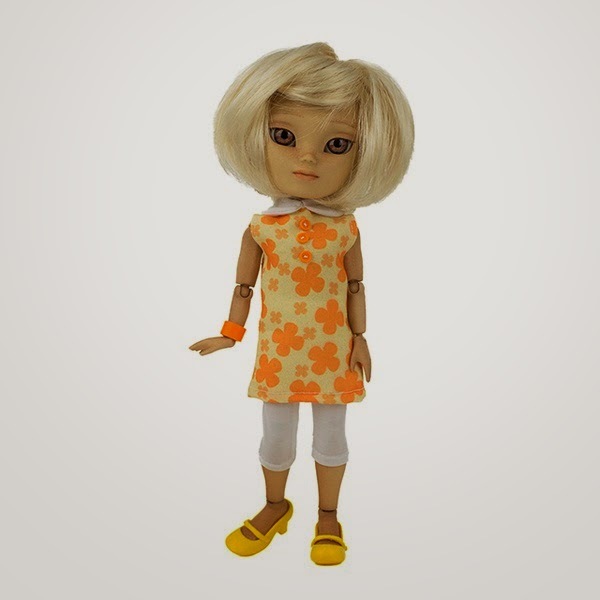 As I grew older, I crossed over into the fashion and style side of the internet, but dolls were my original interest, so I was particularly pleased to get involved with this collaboration. So here is the outfit I designed! The first snap is from their online shop and a picture of the tag. Here are some snaps of my own Makie doll (who looks just like me) modelling the outfit! Apologies for the spam of doll photos but it was she is too cute (my 9 year old self would be proud). Go check out the outfit on the Makies website and read more about my inspiration for the design HERE. They also did a really sweet description about me so go have a look! If you want to create a Makie doll or want to design one, you can visit their webiste. Tolly and Mia also designed outfits so check theirs out too! Disclaimer: I was not paid to design or for this post. I was sent the doll and outfit for free in exchange for working with Makies on a design. All opinions are my own! this is so awesome! your doll and the outfit you designed are so lovely! congrats! This is so rad!!! I love the outfit and the doll really does look just like you. I am so jealous that you were able to design an outfit, that's just so sick!! !